In The New Urban Crisis: Gentrification, Housing Bubbles, Growing Inequality and What We Can Do About It, Richard Florida outlines what he defines as a ‘new urban crisis’ experienced in cities across the world, and establishes new proposals for urban governance. While Jenny McArthur asks fundamental questions of aspects of Florida’s methodology and analysis, she hopes that the agenda set out in the book will make it increasingly difficult for governments to neglect the deeply unequal impacts of current urban policy. If you are interested in this book review, you may also like to listen to Richard Florida’s LSE lecture, ‘The New Urban Crisis’, recorded 9 October 2017. The New Urban Crisis: Gentrification, Housing Bubbles, Growing Inequality and What We Can Do About It. Richard Florida. One World. 2017. 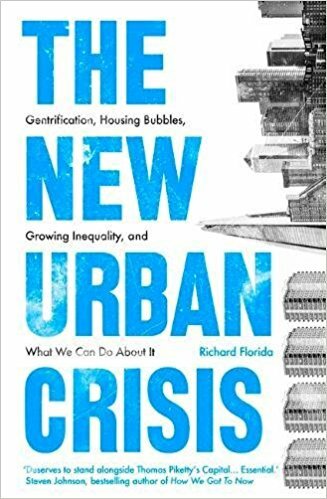 The New Urban Crisis: Gentrification, Housing Bubbles, Growing Inequality and What We Can Do About It, authored by Richard Florida, presents itself as a mea culpa of sorts. This title comes fifteen years after the release of The Rise of the Creative Class – a book that shaped urban policy in many Western cities while also attracting strong academic critique. In The New Urban Crisis, Florida reflects on his former conclusions to address issues of inequality and segregation, suggesting that the new crisis he defines is a fundamental feature of large, dense, wealthy, educated, politically liberal metropolitan areas. The Rise of the Creative Class, released in 2002, presented the creative class hypothesis: the notion that governments wanting to encourage urban growth should focus on attracting and retaining talented workers, instead of trying to incentivise firms to locate in their city. The hypothesis deems ‘creative class’ workers as the secret ingredient for economic growth and innovation. Cities were directed to improve not just the business climate, but also the ‘people climate’ with better public spaces, cycle lanes, mixed-use development and street culture. These measures seek to attract artists, musicians and creative types, who in turn make the city appealing to the ‘creative class’ of knowledge-based workers such as those in engineering, law, education, healthcare, business and financial services. In other words, creative class policy catered for the preferences of educated urban professionals, morphing into a kind of ‘business consultancy’ urbanism without properly considering what happens to everyone else in the city. Eugene McCann’s work on Austin, Texas illustrates how the pursuit of creative class policy played out: attempting to attract the creative class at a time when residents observed the starkly unequal distribution of benefits from the city’s growing tech sector led to highly politicised struggles over local planning, infrastructure and housing. If the crisis that we face is urban, so is its solution. For all the challenges and tensions they generate, cities are still the most powerful economic engines the world has seen. The way out of the New Urban Crisis is more, not less, urbanism. However, Florida has changed his thinking as it has become abundantly clear how wider socio-economic challenges have arisen in cities that would otherwise be seen as ‘successful’ according to his creative class theory. The New Urban Crisis extends Florida’s initial hypothesis to distinguish three different classes: the creative class, the service class and the working class. Across US metro areas, the book undertakes a thorough study of the economic geography of these three class groups, developing a series of indices to measure inequality and segregation according to income, education and class. Further statistical manipulation transforms these into a ‘New Urban Crisis Index’ to quantify and rank the severity of the crisis across metropolitan areas. This index correlates with the size, density and share of creative class-workers, income and economic output of metropolitan areas: it shows that as a successful ‘creative class’ city grows, it may also exacerbate inequality and spatial segregation between the rich and poor. The New Urban Crisis therefore essentially proposes a revision of the original ‘urban crisis’: the decline of North American cities during the 1970s. While the old crisis resulted from economic downturn and outmigration from central cities, the new crisis emerges as urbanisation appears to be a victim of its own success. Five dimensions identified in the New Urban Crisis outline how and why cities have reached this situation. Firstly, divergent growth between the ‘superstar’ cities – London, New York, Paris and Los Angeles – and the rest. This leads to the second dimension: the ‘crisis of success’ in superstar cities as they struggle with over-inflated property prices, the ‘plutocratisation’ that displaces even the high-wage knowledge workers and high inequality. Thirdly, Florida observes the growing spatial inequality, segregation and sorting across all cities, creating new forms of ‘patchwork metropolis’. The fourth dimension highlights the spread of urban poverty to suburban areas, and the fifth looks at the crisis in the developing world whereby urbanisation is not bringing the expected improvements in living standards. This ‘new urban crisis’ results from a fundamental contradiction with urban clustering: clustering is the source of innovation and economic growth, but it also creates competition for space. In Florida’s ‘winner-take-all’ urbanism, those with money and power almost consistently come out on top. The conceptualisation of the ‘new urban crisis’ has a raft of methodological issues and problematic aspects that will limit its value to academics in the field of urban studies and planning. 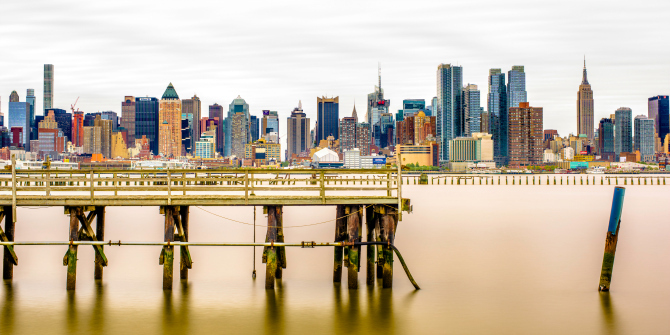 The cities referred to are mostly in the Western world – making much of examples from London, New York and Los Angeles – and empirical work uses data for US metropolitan areas with only occasional European examples. In the global context, these findings cannot be generalised beyond that geographical region, and there is not enough attention given to the distinct needs of smaller cities with different economic structures and migration dynamics. To encompass the entire developing world within the fifth dimension of the ‘new urban crisis’ is also patronising, at best. Additionally, the claim that the UK and USA have had a limited international influence on cities in other regions through urban policy (224) casts a blind eye to the legacies that British colonisation and American foreign policy have left in many cities across the world. The prevalence of a ‘new urban crisis’ in areas that are creative class successes also begs the question and more general critique of the book – if the definition of success has so many associated costs and downsides that it warrants a crisis, why not reflect on how success is defined and measured in the first instance? The New Urban Crisis steadfastly adheres to standard economic measures of growth and performance as the overarching goal. Florida counters critics of creative class theory, asserting that the argument fundamentally rests on the claim that every human being is creative – however, this creativity is only acknowledged as far as it contributes to economic growth. More sophisticated ways of understanding urban economies could consider environmental sustainability, quality of life and equity alongside economic indicators. Putting these criticisms aside, The New Urban Crisis does perhaps mark the end of the era of urban triumphalism in popular literature on cities, where titles such as Triumph of the City and Happy City promote urbanisation as the cure-all for society’s problems. A more pragmatic approach to governance must pay attention to what is happening on the ground in cities, instead of naively following the received wisdom and policy prescriptions like those derived from the creative class hypothesis. If even Florida can argue for this, there is potential for a wider paradigm shift. The solutions to the ‘new urban crisis’ are offered as seven strategies related to zoning, taxation, infrastructure investment, housing, incomes, community empowerment, devolution and global co-operation. Florida makes a case for valid and timely solutions: land value taxation to incentivise productive use of urban land, more affordable housing in central locations, better wages for service workers and global efforts to improve quality of life in cities. Putting these into practice remains challenging: those who govern and influence urban development – national and local governments, community groups and the private sector –need to confront the messy politics of deciding who benefits from growth and how to coordinate urban development to be more equitable and sustainable. By choosing to mobilise and push the idea of crisis, The New Urban Crisis implicitly frames the need for action – by definition, a crisis demands intervention and cannot be ignored. Florida’s approach to conceptualising this crisis could have gone further to scrutinise the assumptions and framing of urban success through the prism of the ‘rise of the creative class’. Nonetheless, the agenda set out here will make it increasingly difficult for governments to avoid the distributional impacts of urban policy and long-term consequences of inequality. Jenny McArthur is a postdoctoral research associate at University College London. Her research focuses on the relationship between infrastructure investment, urban growth and liveability. Jenny has a background in civil engineering and economics. Twitter @jen_m_mcarthur. Read more by Jenny McArthur.